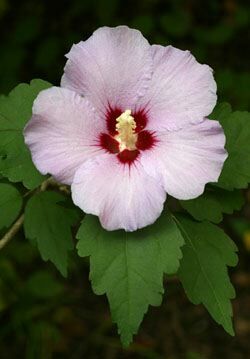 Hibiscus syriancus: Rose of Sharon has white, mauve, blue, red, pink or lavender blooms, all with a crimson eye. Double or single cultivars; good shrub, hedge or standard. Deciduous, cold tolerant. 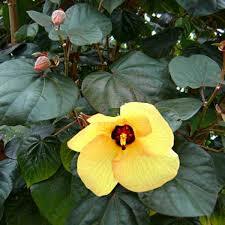 Hibiscus tiliaccus: Mangrove or cotton hibiscus has yellow or white single flowers; a purple-leafed form is available. Tolerates salt spray. Forms a tree, shrub or windbreak. Evergreen (or tiliaceus rubra with red leaves). 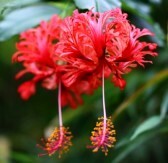 Hibiscus schizopetalus: Elegant, pendulous pink, red or white flowers have deeply dissected petals. Japanese lantern is a bird-attracting shrub for the garden or containers. Evergreen to semi-deciduous. Hibiscus rosa-sinensis: Chinese hibiscus is available in a wide range of colours, including multi-coloured variants. 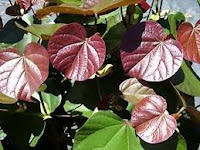 Specimen shrub, containers or shrubberies, depending on size. Deciduous. 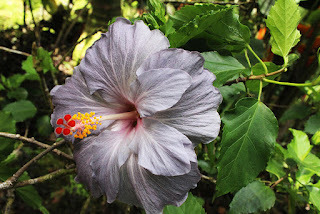 If you would like to find out how to grow Hibiscus there are some excellent cultural notes written by Jim Purdie from the Australian Hibiscus Society Inc. The time line of care has been written for the Brisbane gardener so is very relevant to our conditions here on the Coffs Coast. There are some wonderful images on the Society's website too - enjoy!